Welcome to the Bargain Network Back to School Giveaway event. You can find all of the giveaways here. Below is a “group giveaway”. This means all of the blogs participating will host this giveaway. For this giveaway you will use the Rafflecopter App at the bottom of the post to enter. You do not have to do all of the entries. By doing more you increase your chances of winning. This giveaway is the same on all participating blogs. After you enter here you do not need to enter the same giveaway on another blog. All Giveaways end August 31,2011. Enjoy and Good Luck! Get ready for a weekend of non-stop activities! 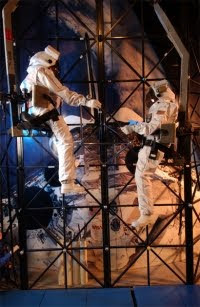 Together, you and your family will explore the past, present and future of space flight. You will also experience the excitement of watching an IMAX movie! See shuttle astronauts perform missions in space, ride along as aviators throttle up, or explore the surface of Mars.Participants also get a packet of exciting activities to explore scientific concepts at home. Space Camp Family Program is designed to give you an overview of space exploration, while experiencing very real space simulations. It’s a weekend for your family to train like astronauts becoming partners in learning. 5, 4, 3, 2, 1 and lift off! Watch the rockets you build soar. Share the pride while maneuvering the orbiter through space. What better way to build a lasting relationship than through the Space Camp Family Program? 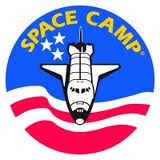 For more information, visit Space Camp online. *Disclosure: Space Camp is sponsoring this giveaway. The thoughts and opinions expressed are my own. I received no compensation for my post, nor was I under any obligation to give a positive post. Thank you to The Coupon Centsation for acquiring this amazing giveaway! All Aboard the Giveaway Train!